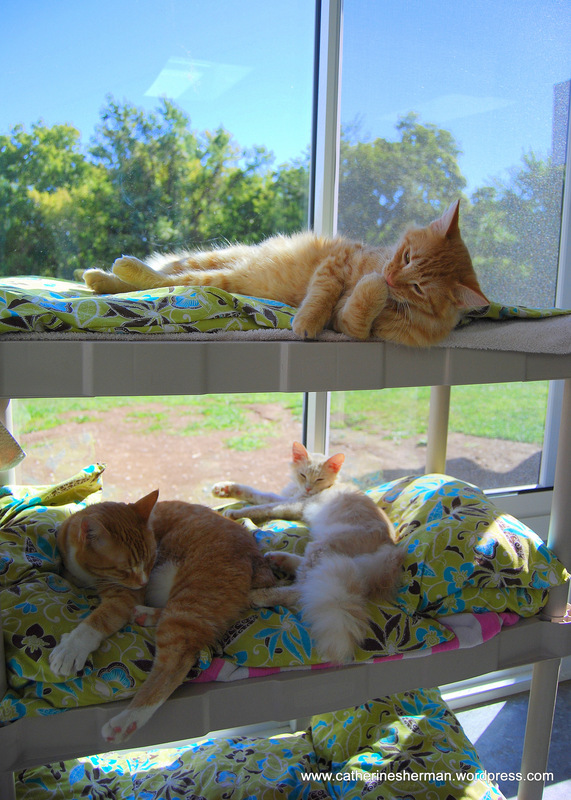 Sunning themselves are Stubbs and Fluffy on the lower shelf and Leo on the top in the new sun room in the newly renovated cat palace at Wayside Waifs in Kansas City, Missouri. 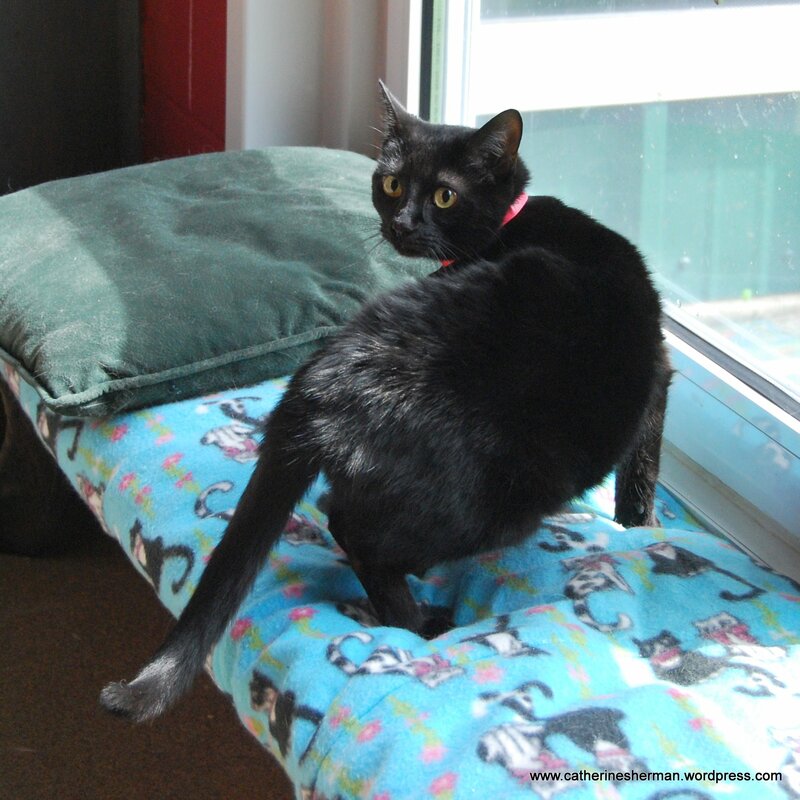 Many of the cats awaiting adoption at Wayside Waifs get a chance to be free roamers while awaiting their "furr-ever" homes..
Click here for the Wayside Waifs website. 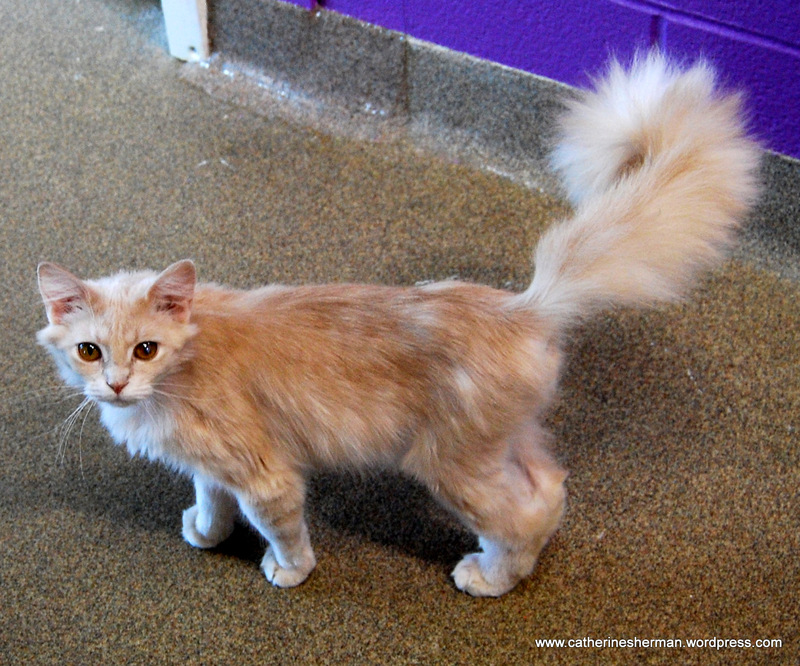 Wow, look at Fluffy's tail. The adorable dogs performing in this video are all rescue dogs. Thanks to Wayside Waifs for posting on Facebook. My daughter’s wedding is now a happy memory, so now I’m almost back to my regularly scheduled activities, including photographing cats available for adoption at Wayside Waifs. Today will be the first time I see the newly completed cat palace! 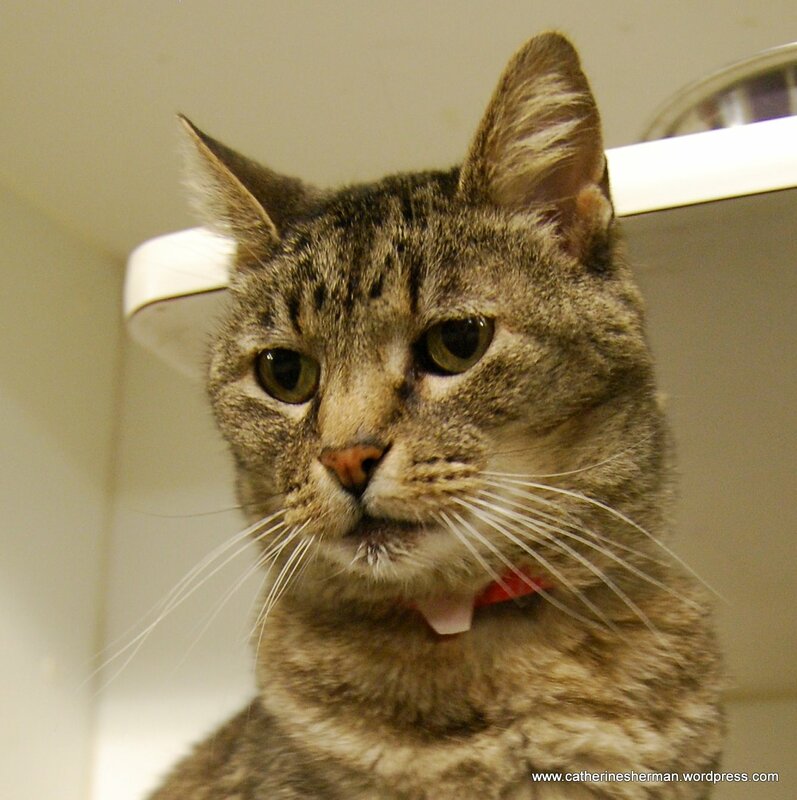 Click on the link to Wayside Waifs to learn more about this wonderful no-kill animal rescue shelter in Kansas City, Missouri. 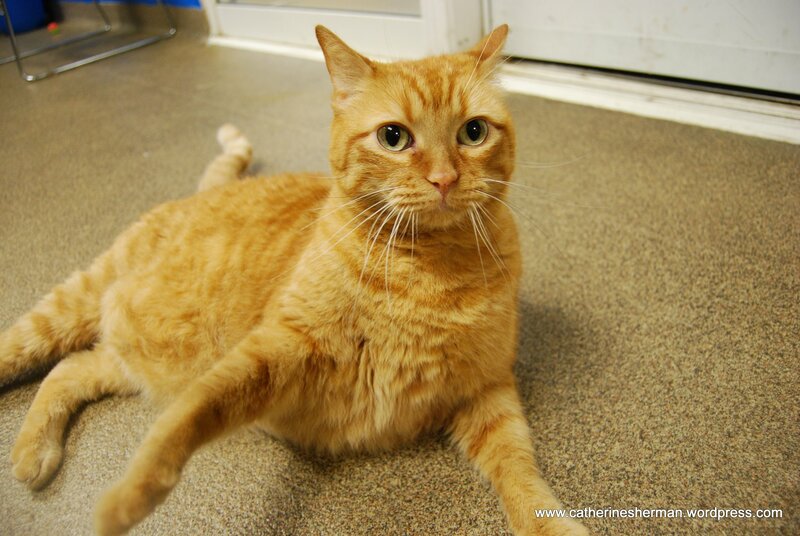 Ike, a five-year-old male cat awaiting adoption, knows how to get comfortable in his room at Wayside Waifs. What he'd really like is to hang out with you! Ike, age five, is a great cat. However, as much as I enjoy seeing him at Wayside Waifs in Kansas City when I go there to take photographs, I wish he’d find a forever home. He’d be a great asset to your home. 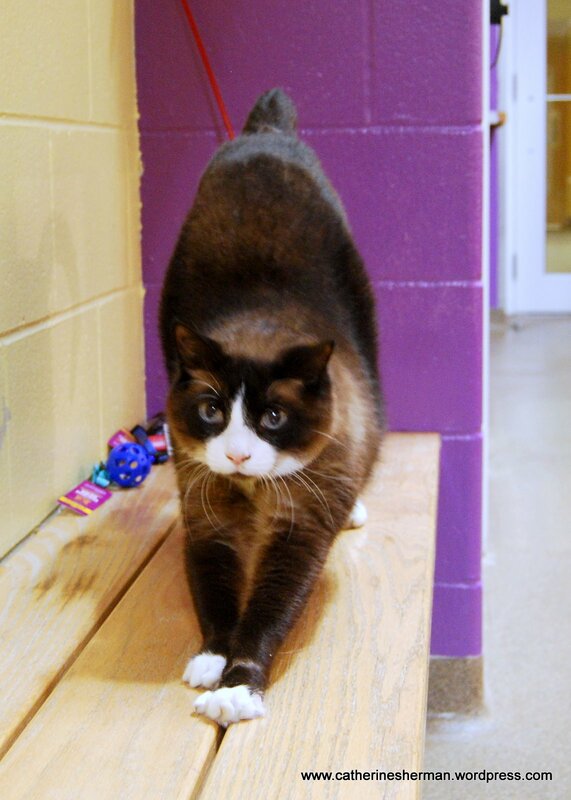 Here’s what his biography says on the Wayside Waifs website: Are you looking for a twinkle of excitement in your life? Feel that too often life is lingering on the boring side? Well, do I have a solution for you! ADOPT ME! My goofy, yet sophisticated, personality is bound to knock your socks off. Couple that with my playful, frisky side and you definitely have a fun-loving bundle of entertainment 365 days a year! We can sit on the couch and I’ll whisper in your ear, “hey you, time for a belly rub – oh and don’t forget to rub the ears,” then, I’ll dive off the couch and bat around my play mice and jingle balls. You’ll giggle at me chasing my tail and laugh out loud as I stalk the dust bunny hiding under the coffee table. Sound like fun? Come see me at Wayside and let’s talk about making our connection permanent! 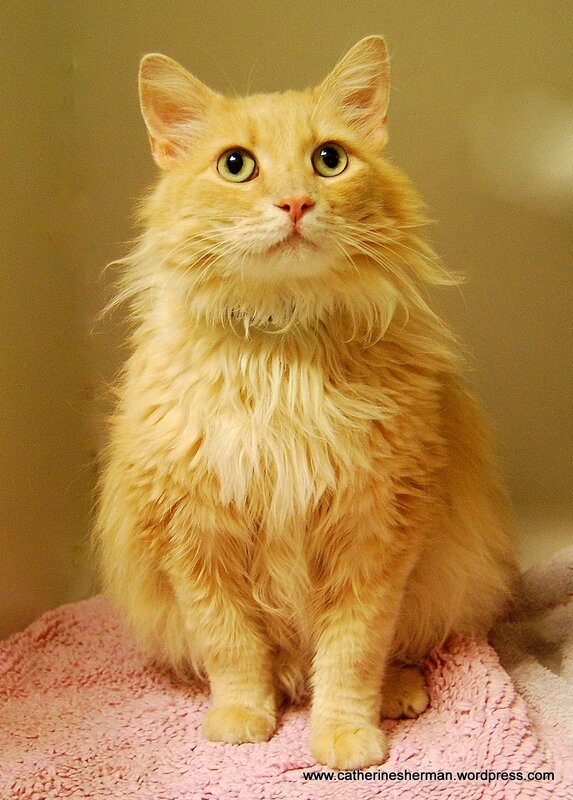 Click here for more information about Wayside Waifs. Here’s a link to my previous post I’m Adorable! Take Me Home! 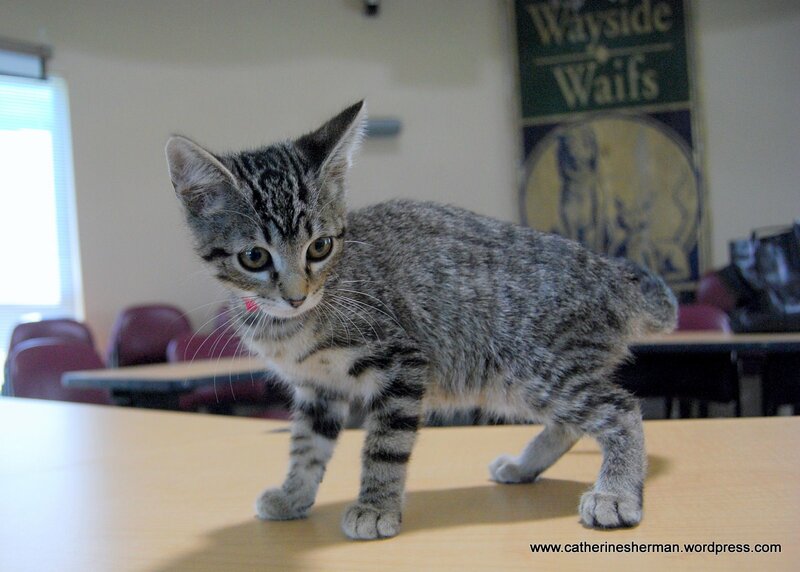 about Wayside Waifs, which contains a link to still another Wayside Waifs post with photographs of adorable cats and kittens, awaiting adoption. See a pattern here? 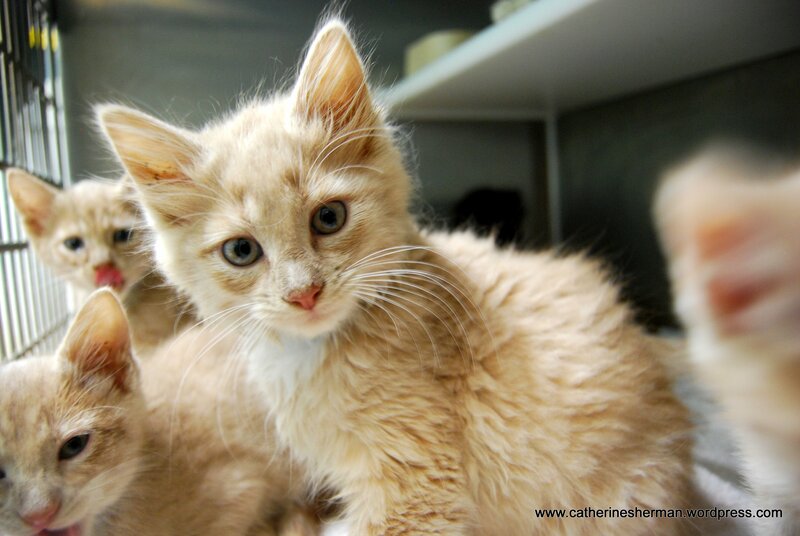 Fortunately, many of the cats and kittens pictured in those posts have found homes, thanks to wonderful people like you! But there are always more animals coming into Wayside Waifs that need homes. I’m Adorable! Take Me Home! 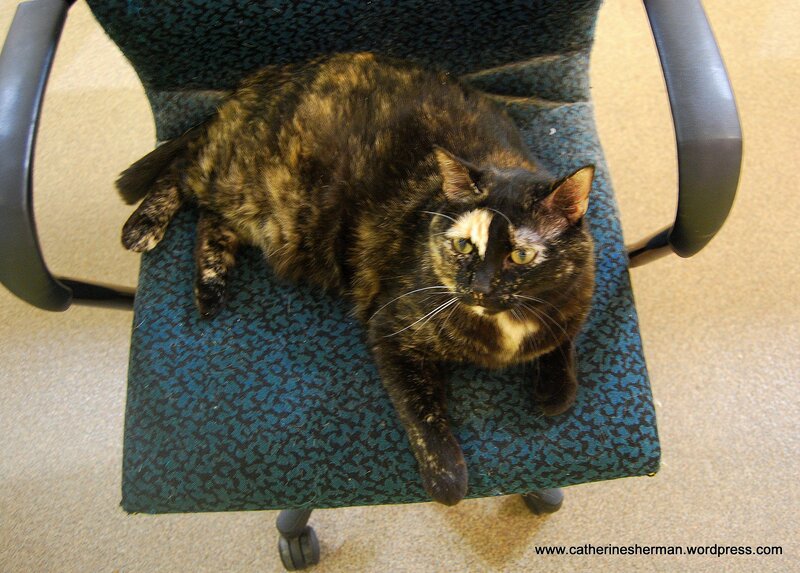 Luna is an 11-year-old tortoiseshell sweetheart. Her bio says "This senior tortie cat came into Wayside when her owner was leaving for basic training and couldn't take her along. 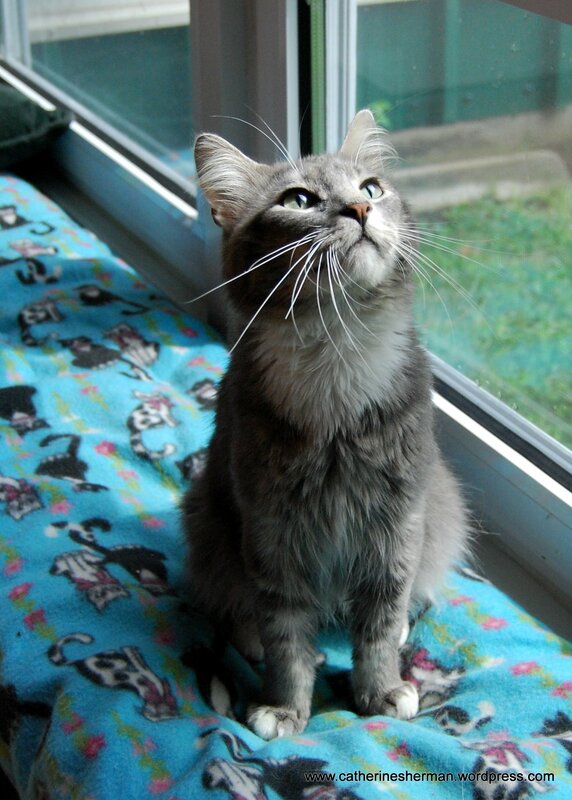 Luna is hoping her next family is out there waiting to give her the happy ending she deserves!" I don’t even see them all, because, fortunately, many cats and kittens are quickly adopted. 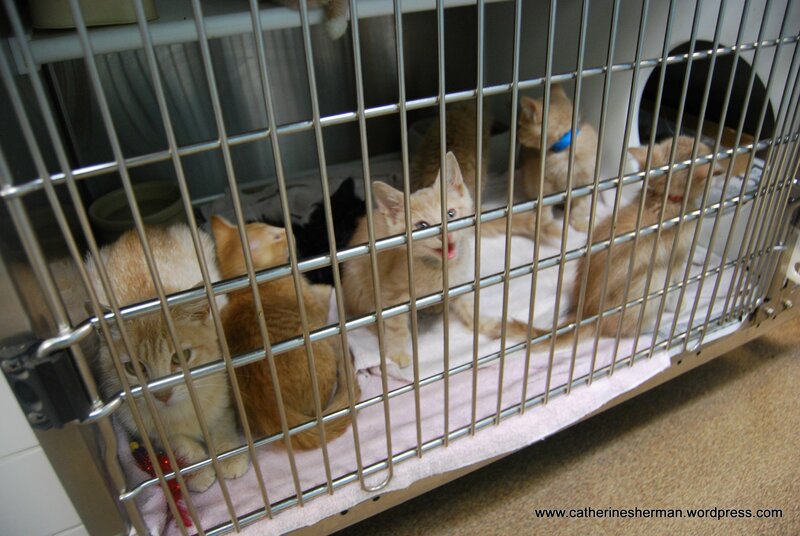 But many more homeless cats and kittens (as well as dogs and puppies) come in the door as strays or surrendered pets just as quickly. That’s why we need lots of families for these fuzzy balls of love. 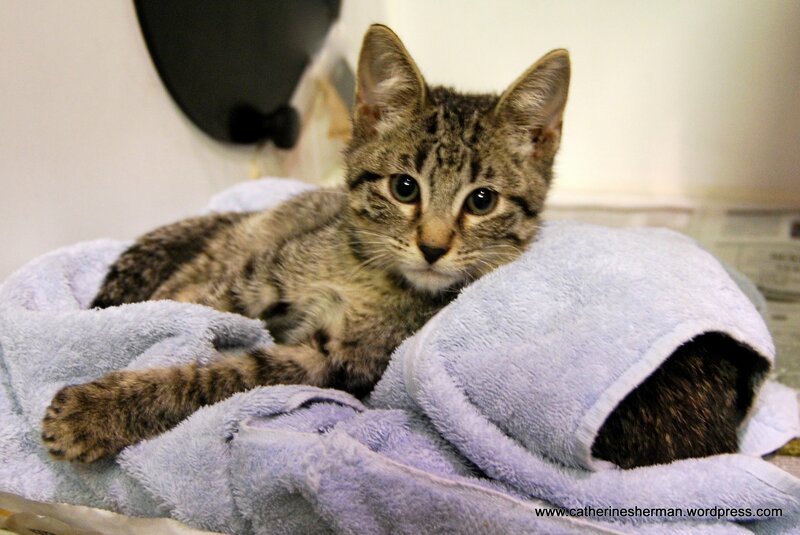 Wayside Waifs cares for about 400 cats and dogs and some small mammals every day. Selena's beauty is undeniable from any angle. 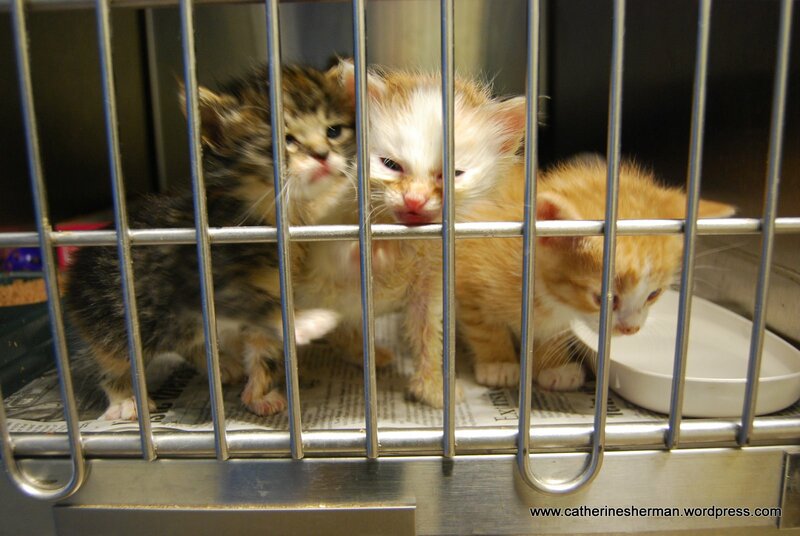 Here’s from a July 22, 2010, email from Wayside Waifs: “As Kansas City’s largest no-kill animal shelter, Wayside Waifs is committed to doing everything in our power to help animals in need. Within the last week, Wayside Waifs has opened its doors to nearly 200 animals in need. We’ve taken in homeless animals from overcrowded shelters in Missouri, Kansas and as far away as Montana. We did not hesitate to answer a plea for help again yesterday, when a shelter in the Kansas City community was left in the dark following a powerful thunderstorm. Nearly all tortioiseshell cats are female. Find out why and more about these lovely cats by clicking on About Tortoiseshell cats. 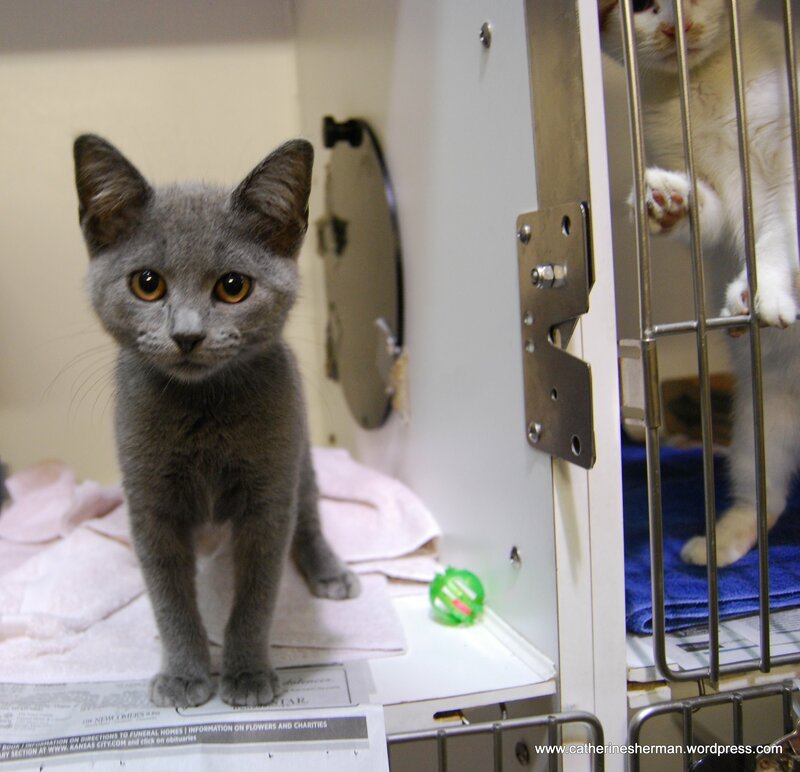 To learn more about Wayside Waifs, see some of the animals available for adoption and to donate, click on Wayside Waifs. 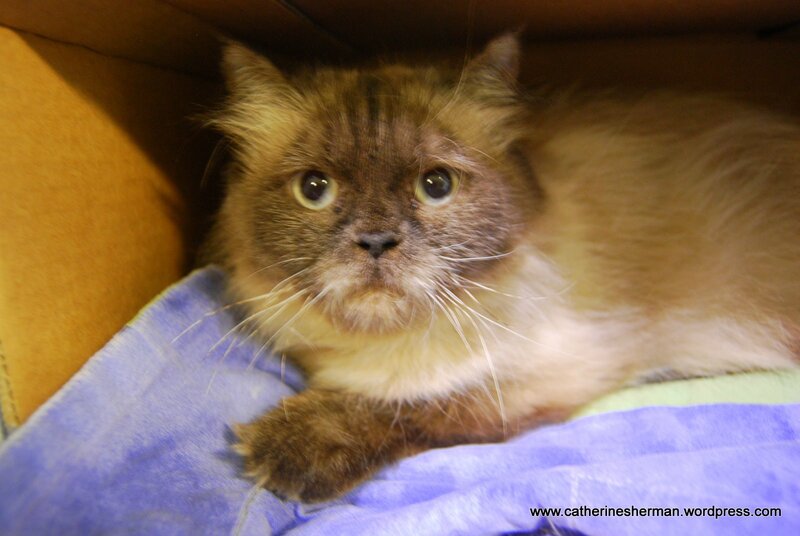 To see my first post on Wayside Waifs, which was featured on the WordPress home page for a day or two , click on Wayside Waifs. Be sure to check it out. 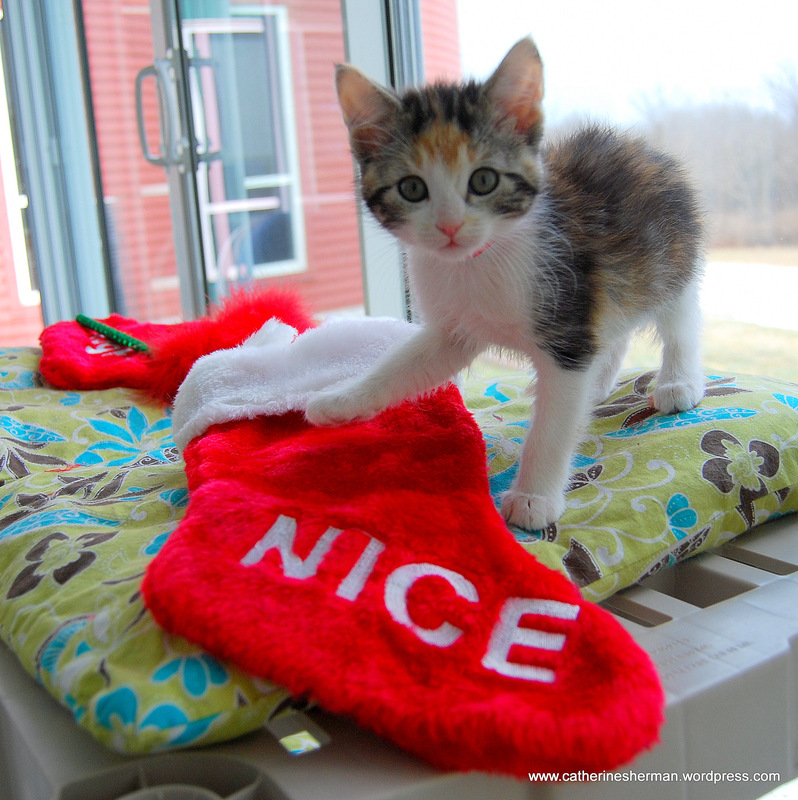 Lots more beautiful cats and kittens! 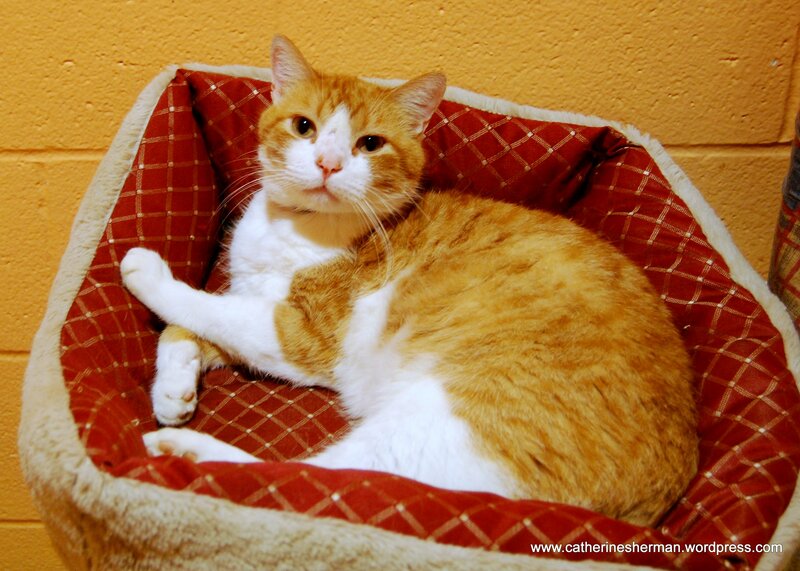 Most have been adopted, although as of this writing, Ike still needed a home. 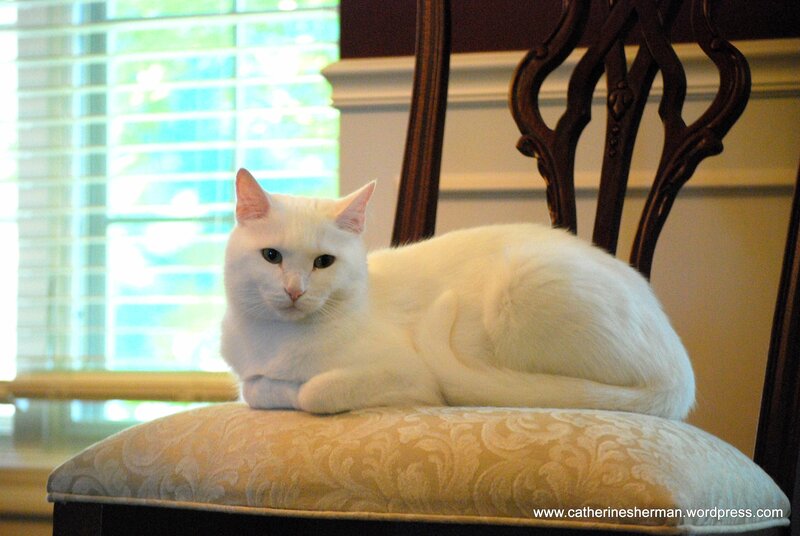 More cat photographs below. Orion. Yes, he's got more than star power, he's requires the name of an awesome constellation to capture his magnificence. Josie is always ready for her close-up, because she's nonstop gorgeous. Joan shows off her sleek, fabulous looks. She's long, dark and beautiful. 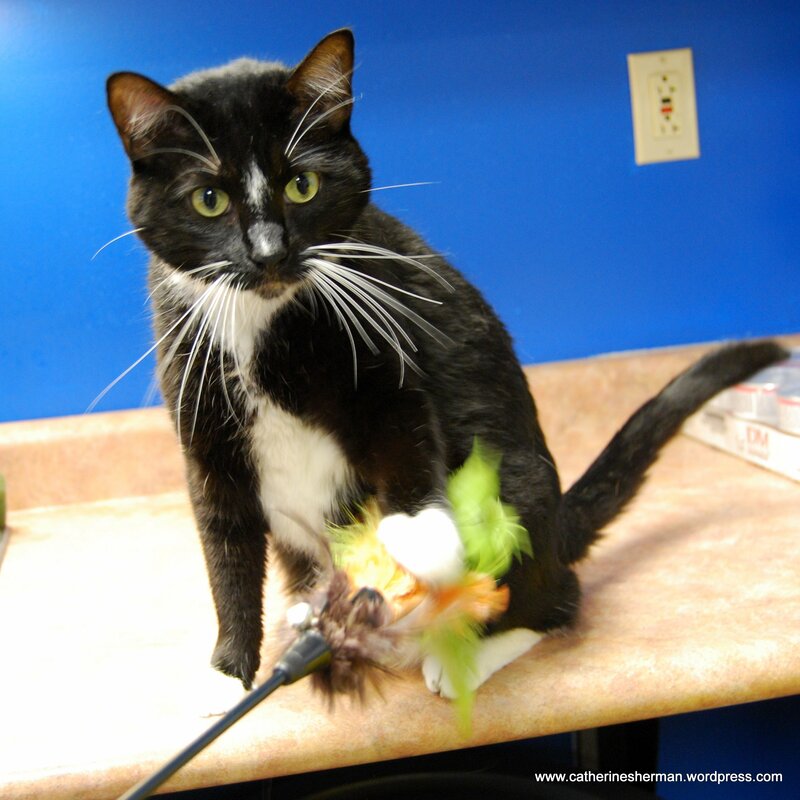 Pedro has tuxedo markings, but don't let the formal attire fool you. 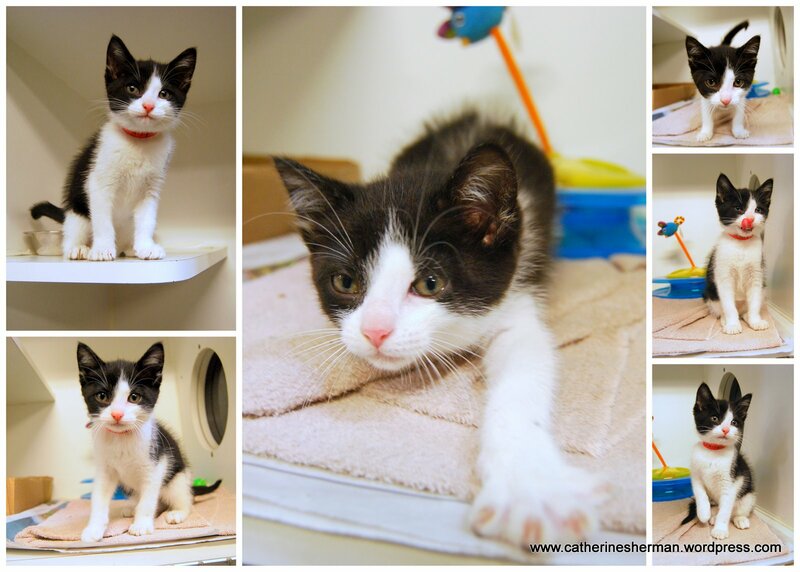 He's a cat with a fun-loving personality and he really knows how to play! On the left is Riff Raff, who's really an aristocrat with lovely manners and a charming and loving personality. 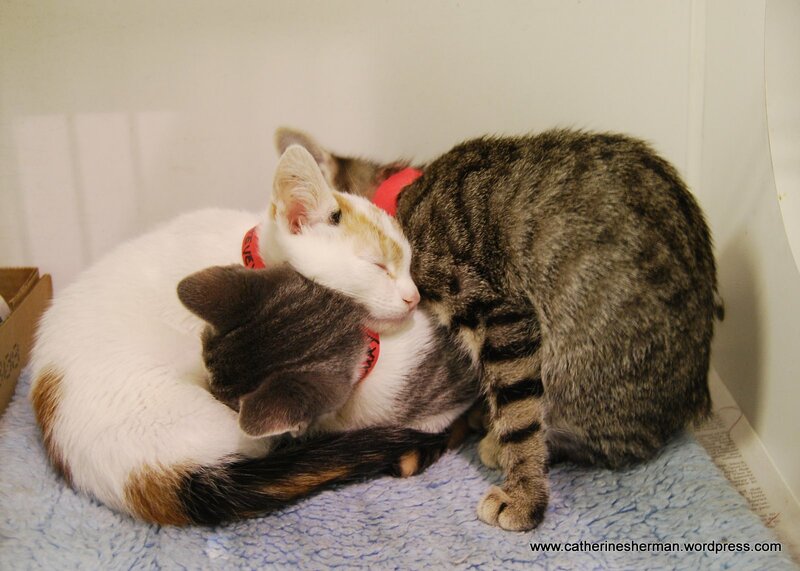 I confess, I don't know Jersey from Shore, but these two almost identical cats (one serves as a pillow for his littermate) are both sweet, beautiful kittens. Ms. Pufferfish (sitting patiently on the left) and her kittens were not quite ready for adoption, but you can see that they will be in great demand. 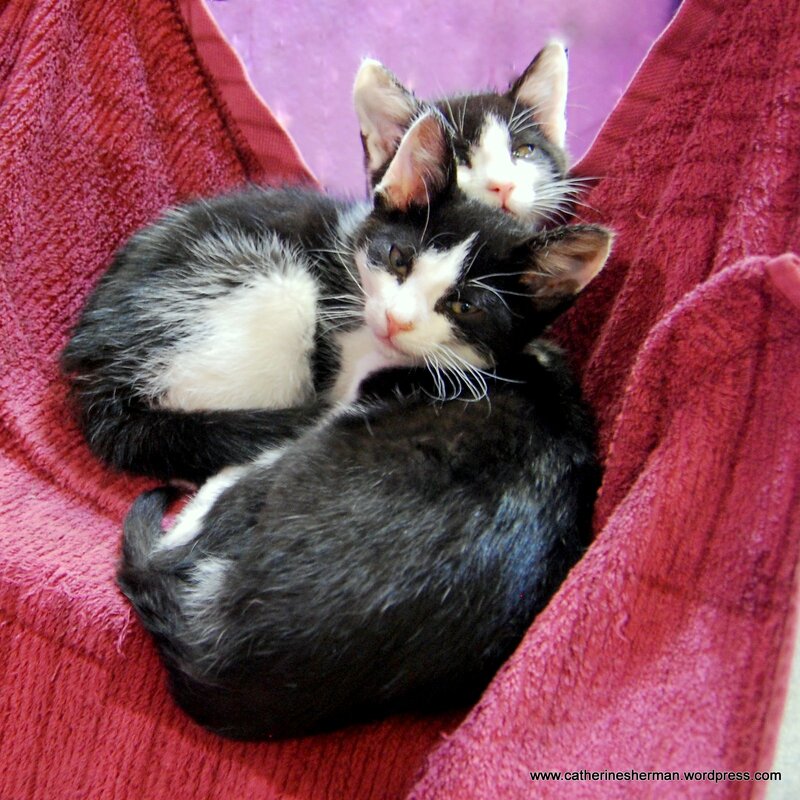 Here's a preview of some of Ms. Pufferfish's kittens. Penelope is just too cute to be limited to only one photograph! 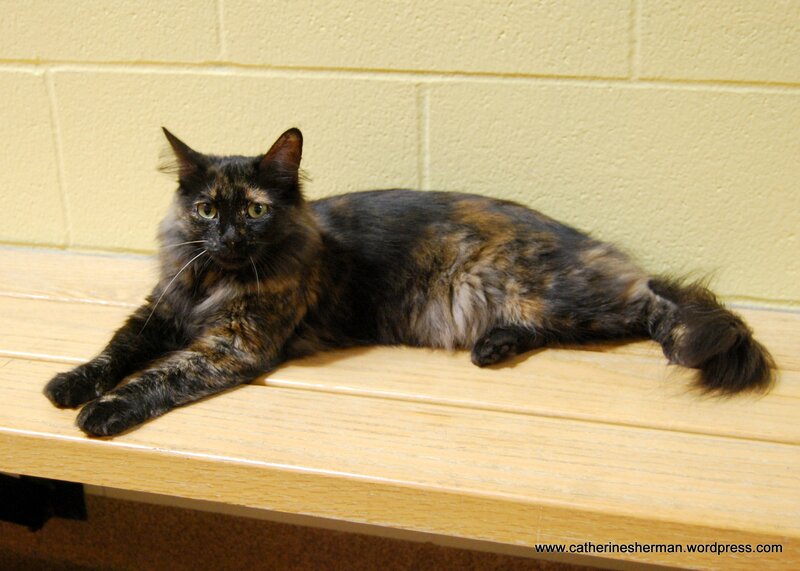 She's one of the many kittens and cats available at Wayside Waifs in Kansas City, Missouri. My weekly volunteer assignment: Photograph cats and kittens available for adoption for the website of Wayside Waifs, Inc., an independent, not-for-profit humane society and animal welfare organization established in 1944. Serino stretches out. Some cats are allowed to roam the cat area. I’ve owned cats for almost twenty years (I should say that cats have owned me), so I knew it wouldn’t be easy to get most cats to pose. There’s a reason for the old saying about how hard it is to “herd cats.” Even cats who like to hang out and sit pretty will spring into action when you aim a camera at them. 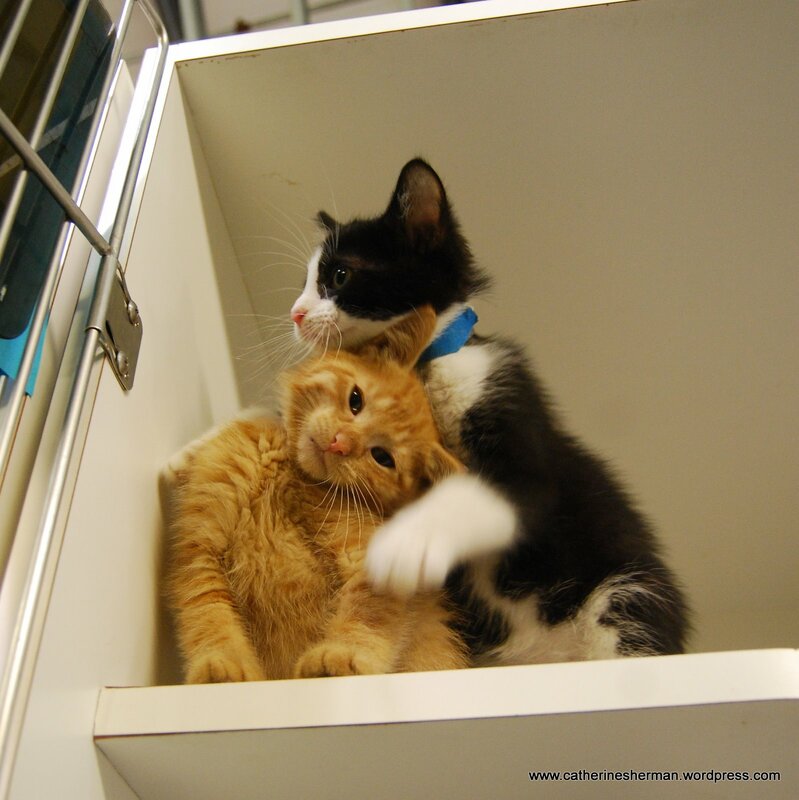 Other cats withdraw into their cubbyholes. As expected, the kittens were the hardest. Open the cage, and the kitten explode out like jacks in a box. The staff laughed, when I kept saying “sit,” which is what I say to Loki (dog at home) fifty times a day. I should know better! Awww. A group hug. A second later, this trio was alert and trying to escape! I got my first cat, Malcolm, at Wayside Waifs almost twenty years ago, so I have a special connection to the place. 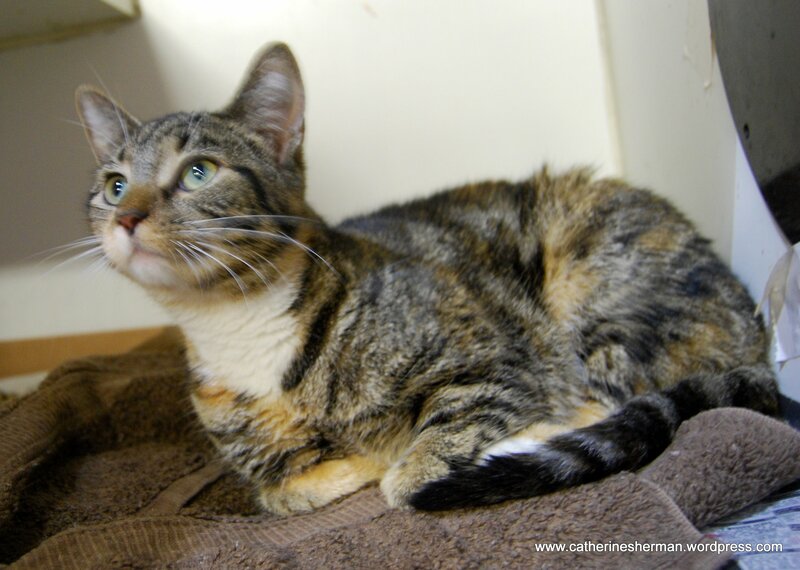 When I first visited Wayside Waifs, it was housed in a small building. Now, it has a very nice building, run completely by donations. It has some heavy hitter donors, too, like Hallmark, which is headquartered in Kansas City. It has a paid staff, but hundreds of volunteers keep it running, too. In fact, I had a hard time getting in! In the future, you can be sure you’ll be reading more about Wayside Waifs and seeing a lot more photographs of adorable cats. I may be taking dog photographs, too. The very beautiful Grace Kelly is camera-shy. She wasn't ready for her close-up. When she saw my camera she moved back into her box. 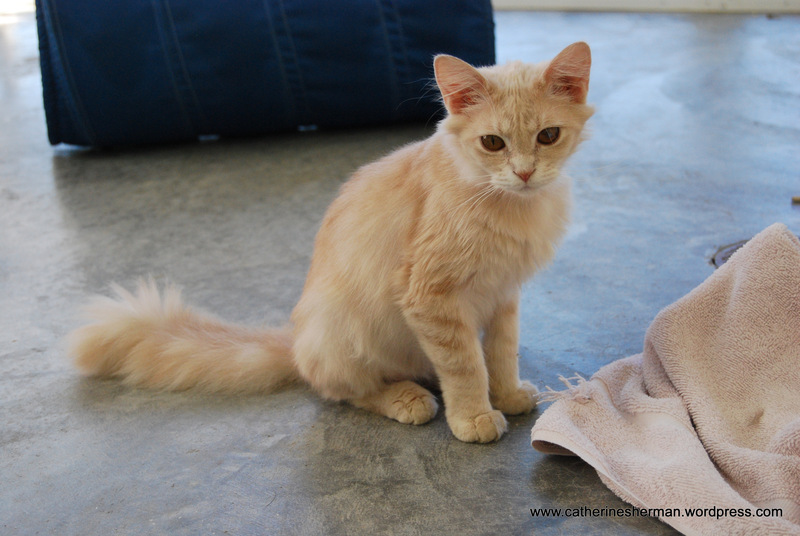 I'll try again next week, although hopefully someone will take home this adorable girl by then. Mackie struts her stuff in the community room. In the background is the original sign for Wayside Waifs, Inc., an independent, not-for-profit humane society and animal welfare organization established in 1944. 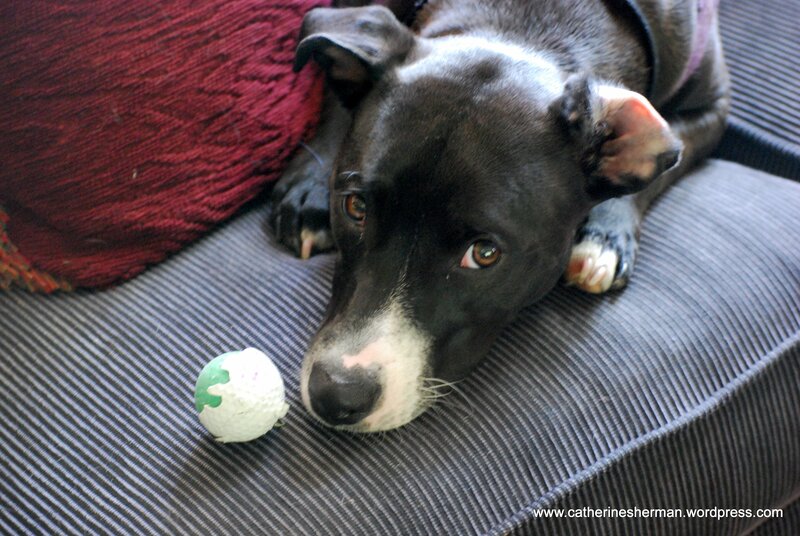 Loki realizes that golf balls don't taste as good as they look. I woke up on Sunday with a bed full of golf balls. How did this happen? A pile of rawhide chews I can understand, because Loki the dog hides them everywhere, but how did Loki get these golf balls? Then I saw Bones the cat slink by. Aha! Bones was briefly top pet -- until Loki joined the household. Bones is plotting ways to return to the top by taking advantage of Loki's love of chewing.